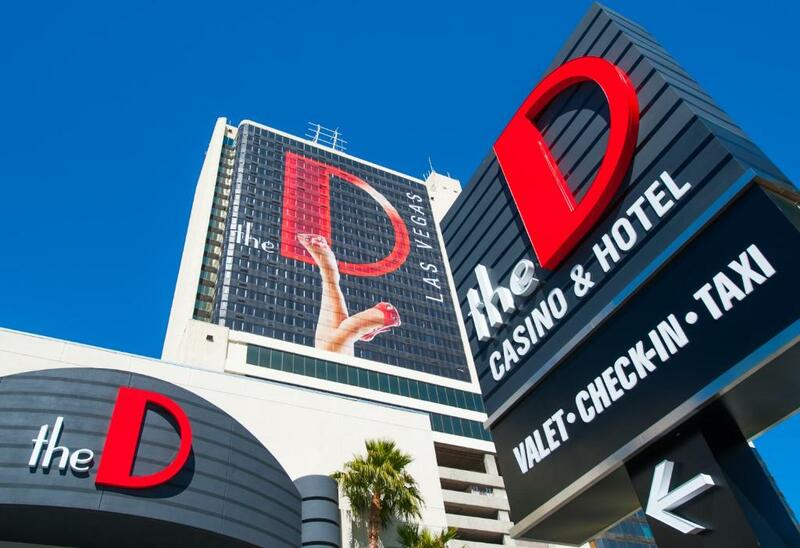 Located in the downtown Las Vegas area just steps from the world-famous Freemont Street Experience The D Las Vegas Casino Hotel - A Lexington Legacy Hotel is a lively choice for our guests. This hotel has 638 rooms with cable TV safes ironing equipment and hairdryers. The hotel boasts Fremont Street's only second-floor public balcony where there are unforgettable views of the surrounding area. There's a casino and a year-round outdoor pool and hot tub. Joe Vicaris Andiamo's Steakhouse answers the call for fresh seafood and thick cuts of beef and the D Grill serves breakfast lunch and dinner. 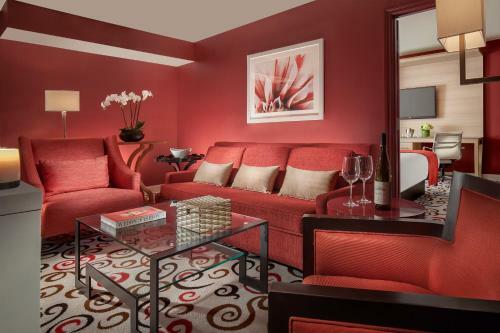 Additional amenities include a 24-hour front desk a business center Wi-Fi (for a fee) and free parking. The hotel charges a mandatory daily fee and there is an additional per-person charge for more than two guests per room. 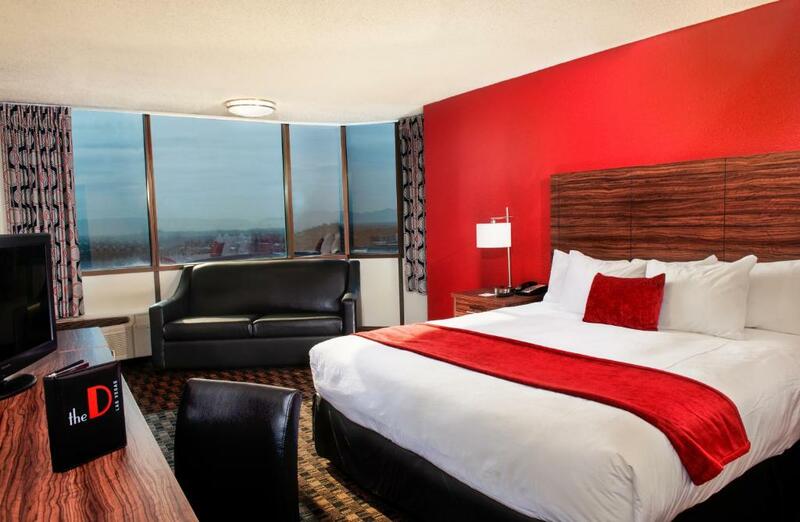 The hotel guarantees you a front-row seat to all the action down on Freemont Street. The famous Las Vegas Strip is only a few minutes south of the hotel. 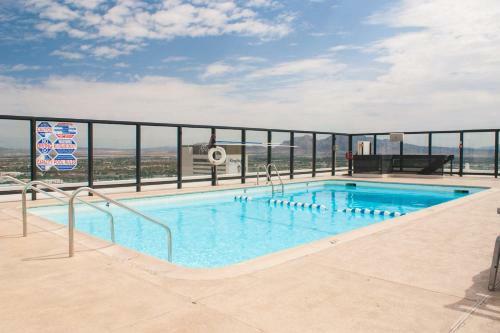 It's about a 10-mile drive to McCarran International Airport. 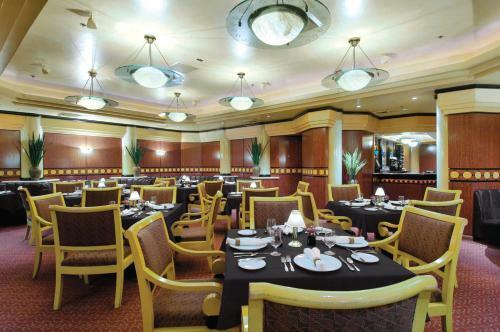 our guests find an "excellent" staff and "perfect" location at The D Las Vegas Casino Hotel - A Lexington Legacy Hotel. "This hotel is a great value. Front desk staff excellent."